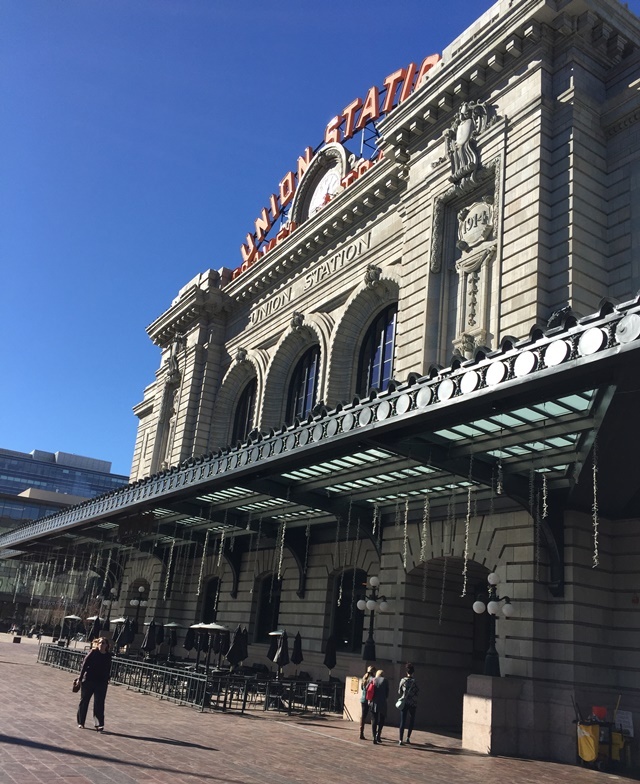 The venerable Union Station in lower downtown Denver has been reborn as a long-awaited transit hub and a flourishing hotel, restaurant and entertainment space. Buses, trains, the free 16th Street Mall shuttle through downtown, and several light-rail routes converge at the site, with more still to come. In and around the station are more than a dozen retail shops, restaurants, bars and the boutique Crawford Hotel, named for Denver preservationist Dana Crawford, one of the partners in the project. Crawford is credited with preserving many historic Denver buildings in nearby LoDo since the 1960s, including Larimer Square and the Oxford Hotel. Short walks access the lively LoDo bar scene as well as sports venues Coors Field and the Pepsi Center. Sports Authority Field is a few minutes away on light rail. The first railroad station opened on the site in 1881 but was damaged in a fire. The existing Beaux-Arts building originally opened in 1914. At its busiest times as many as 80 trains a day passed through the station. But as passenger rail traffic declined the Amtrak traffic has dwindled to just two trains a day between Chicago and the San Francisco Bay Area, including the California Zephyr. Denver transit district RTD bought the station and the train yards around it in 2001, and with other government agencies planned and executed the huge 20-acre development for transit and related businesses. A century later, in July 2014, Union Station reopened as a fully functioning transit center. Tours are available through the Crawford Hotel.